There are certain people who were simply born to enter the world of movies. For one reason or another there is a burning sensation in the pit of these folk’s stomachs that tell them they HAVE to be in the business of making movies. Even as cold and shameless as the world may be, it is just something they obviously have to do. And even better, there are some folks who simply will not be pigeonholed into making just certain types of movies. In fact it becomes the versatility in their work that becomes an obvious factor that has been brought by their drive to great cinema. Take for instance the wonderful filmmaker/screenwriter Rolfe Kanefsky. 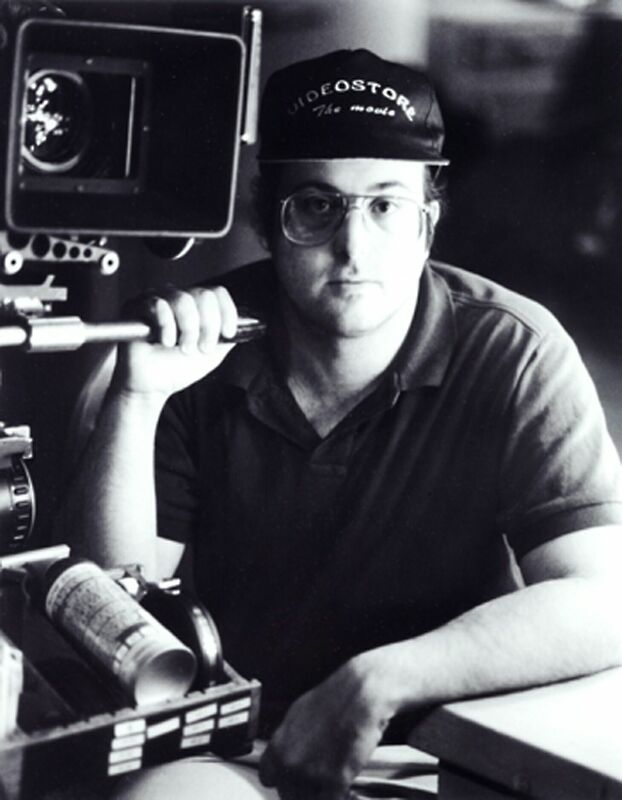 If you scour the internet for a while, you will most likely find that the horror community has embraced this man as a legend among indie horror filmmakers for his now cult classic first feature, There’s Nothing Out There. A horror movie that preceded what would become some more well known films like Scream or Cabin in the Woods. Kanefsky is the man who laid the ground work for the certain sub-genre of an already beloved genre of movies. The film is great in its own right, and it is no surprise that the horror community (arguably, one of the most loyal communities the internet has ever seen), but there is so much more to this man. His abilities to transcend through any genre (erotica, western, comedy, alien mommy issues, and on and on) is what makes him a true master of cinema. Rolfe knew that the best way to break into the business was by using the horror genre to kickstart his career. And it worked! Though There’s Nothing Out There might not have been an initial “success” (depending on how you would deem success), time has proven that is the stuff that legends are made of, and also a door to a truly astounding career that has shown no evidence of slowing up anytime soon. So, with that in mind, we are proud to bring Mr. Kanefsky into the digital pages of Trainwreck’d Society! We managed to peel him away from his work for a few questions about his career thus far, his amazing versatility, and maybe give some insight into some of this other great works. So, ladies and gentlemen, Rolfe Kanefsky! In the early stages of your career, you were working for the legendary Troma Films. How did you land this gig? What were you up to around there, and what films did you happen to work on during this time? I started working as a P.A. when I was 16 over the summers on a bunch of independent films including a slasher film called Posed For Murder and a still unreleased comedy called Rich Boys. I got involved with Troma the summer before I started college. I believe my father, Victor Kanefsky, a film editor is the one who hooked me up over there. He edited a movie that eventually became one of their most infamous releases, Joel M. Reed’s Bloodsucking Freaks. My father owned and ran a post production company in New York called Valkhn Films and got the assignment to edit some Troma titles. I helped cut one for Sgt. Kabukiman NYPD. But before that I was a P.A. on their biggest production ever, Troma’s War. I worked for them for about two months on that show. I had to leave to start college but that was quite an experience. I actually was interviewed about it on their special anniversary DVD of Troma’s War. There’s a seven minute interview I did about my memories from that set. I’ve stayed in contact with Troma and Lloyd over the years and have put Lloyd in bit parts on some of the later films I directed like Tomorrow By Midnight and Pretty Cool although you now only hear his voice in the films. Troma also ended up releasing our 20th Anniversary DVD for my very first professional feature film, There’s Nothing Out There. As time marches on, it seems that your now cult classic film There’s Nothing Out There is finally receiving some of the much deserved respect and admiration it has always deserved, even outside of the realm of die hard horror fans. Why do you think this is? What do you believe it is that people see in this film that is so captivating? I could write a book about There’s Nothing Out There and in fact, have. It’s on my website. But the shorter story is, at the age of 14, I decided I wanted to be a filmmaker and started to research how to do it. I realized that at that time most first time filmmaker started with horror films so I started renting every horror film on video. I saw some great ones like Evil Dead and Carpenter’s Halloween and a lot of bad ones that were just doing the same old clichés to make a quick buck. I wrote Nothing Out There when I was still in high school as an exercise to see how long it would take me to write a low budget exploitation horror flick. As I wrote it, I couldn’t get myself to write all the same clichés seriously so I added the character of Mike, (basically myself), a horror fan who has seen all the horror films and immediately started to recognize and warn the others of the conventions of the genre. But I was careful not to make fun of the horror genre but of the lazy filmmakers and producers who keep doing the cat scare, the person going into the basement alone, standing in front of an open window, etc… My thought was to send-up all these cliches so horror films would be forced to be smarter for the fans. When we shot the film in 1989, the horror genre was still huge. Unfortunately, it collapsed the following year. My film got a small theatrical release in New York and California, played a bunch of film festivals, got surprisingly good reviews and then hit video through Prism entertainment, laser disc through Image, and played HBO/Cinemax. I thought it was over. A few years later, Wes Craven made a movie called Scream and to my surprise, thanks to a few movie books and the internet, people started talking about Nothing again. It slowly became a cult film. So, I embraced it, started a website for the movie, and let the slow legion of growing fans keep it alive. When DVD came along, IMAGE was willing to do a special 10 year anniversary on DVD and we were finally able to get a good quality version of the film put out. Reviews were great for the DVD. Because of Scream, Nothing Out There was discovered more and more. And for the 20th Anniversary, Troma stepped up to release a 2 disc special edition. There is talk that one day they may put it out on Blu-Ray too. I think the reason why Nothing Out There has stayed so popular is that it is very honest in its’ intentions and is still funny. The genre hasn’t changed that much. Filmmakers and producers are still doing the same cliches so There’s Nothing Out There is still current. Even after Cabin in the Woods, people came back to write about There’s Nothing Out There. One reviewer said it’s the perfect bookends to the self-reflexive horror genre that started with Nothing moved to Scream and ended with Cabin in the Woods. To be grouped in that company is an honor. While you are no stranger to the world of horror, your body of work consists of many different genres, from comedy to erotica, actually pretty scattered to say the least. 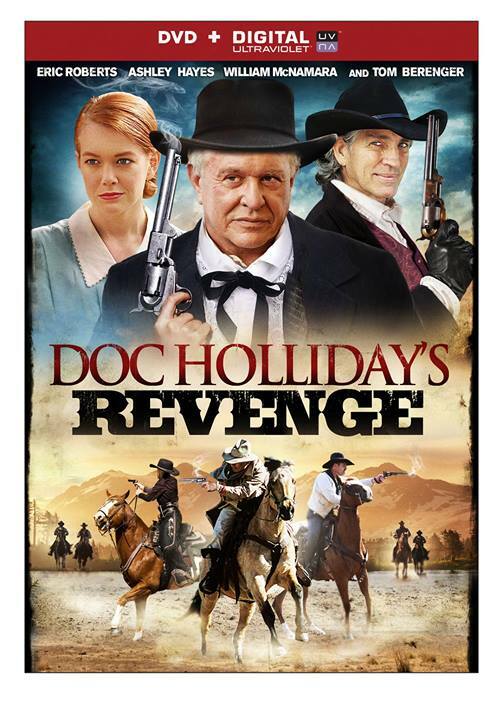 One film in particular that interests me a whole lot is the film Doc Holliday’s Revenge, which is actually a western you wrote, and was directed by David DeCoteau. So, how did you manage to enter the world of Doc Holliday? What made you want to get involved with this project? It was simple. David DeCoteau asked me to write a western that he could shoot in three days with about seven characters. I came up with a couple of simple premises, one kind of variation of Straw Dogs that he liked. But then he wanted to add a history western figure into the story. I talked with a good writer friend of mine, C. Courtney Joyner, who is a huge western fan and has written a wonderful book called Shotgun, to help me. Courtney suggested Doc Holliday. So, I started researching Doc Holliday and looked for an event that could fit into my original story idea. I ended up writing a fictional story that consists of all real people from the time around real events that were taking place. During this time, the news with filled with the whole Trevon Martin/Scott Zimmerman trial where they were calling Florida the wild wild west because of the “Stand Your Ground” law. I thought that would be a great title for my western and actually wrote the story very much as an allegory to the Zimmerman trial from the point of view of the judge, who was eventually played by Tom Berenger in my story. David loved it and shot the movie, getting a little more time and money then usual because of the quality of the script. The distributors changed the title from Stand Your Ground to “Doc Holliday’s Revenge and Lions Gate released it. I hear the film has done well and I’m proud of the script I wrote for it. And even a bit more of a jump is your comedy Blonde and Blonder. That was even more of a stretch compared to your normal body of work? How did you land this gig? Actually, Blonde and Blonder was not a stretch at all. I fell in love with Abbott and Costello movies when I was four years old. Comedy is actually my forte. No matter what genre I write, there is always a pretty good sense of humor in it. I was working for Alain Siritzky, producer of the famous Emmanuelle series in the 90’s. He has the idea of doing a female version of Dumb and Dumber and asked me to write it. So, I wrote Blonde and Blonder as almost a female version of Abbott and Costello, although I described more along the lines of a younger, sexier I Love Lucy episode. When I wrote the script, I thought perhaps Pamela Anderson and Jenny McCarthy would be good for the roles. Alain tried to get the script made but couldn’t. It sat on a shelf unproduced for about 10 years until another producer came to me. He’s a Brazilian producer named “Frederico Lapenda”. He invested some money into my flick, Nightmare Man, and asked what other scripts I had. I gave him Blonde and Blonder. He asked who I saw in the roles? I told him originally, Pamela Anderson. So Frederico got the script the Pamela’s brother, Gerry. He got it to her. She liked it and they set the film up in Canada with Insight Film Studios. Bob Clark was hired to direct and suddenly the film was in production with Pamela Anderson and Denise Richards. I am not very happy with the final results and the worst part was that Bob Clark, director of such films as A Christmas Story, Porky’s, Black Christmas) died in a car accident right after production wrapped and didn’t get any credit on the finished film due to Canadian Content (aka stealing money from the government as a tax rebate if there are enough Canadians working on the film.) I won’t go into all the details and dirty dealings that occurred but it’s a shame that Bob Clark does not have credit for the last film he directed after such an incredible career. What is your ultimate goal for yourself as a filmmaker/screenwriter? When you look back on your career at a much older age, what are you hoping to see? Well, it’s a crazy business. 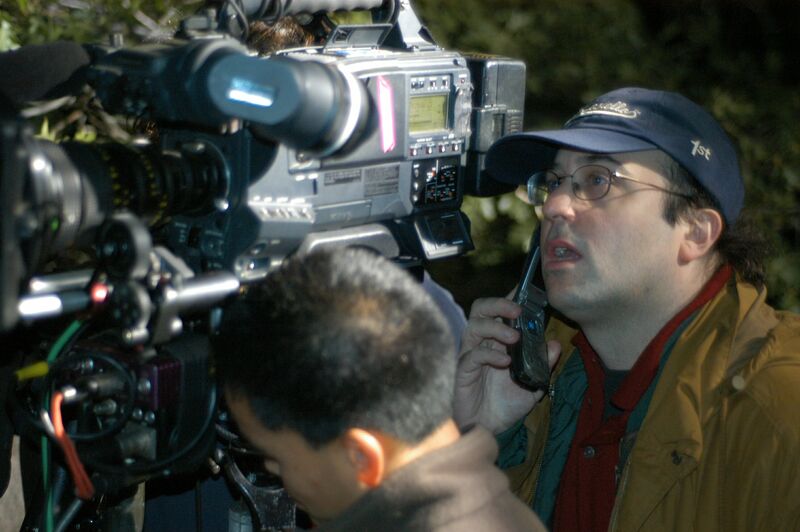 To be able to have had a career full time as the writer/director for almost 25 years is amazing in itself. A filmmaker always hope that he leaves behind a film or a body of work that is remembered and appreciated. I am pleased that I have a cult film still talked about after twenty years. I am proud of a film that has never been released in the states called Tomorrow By Midnight which is the most personal film I’ve made. I hope to see that released one day. You’ve probably heard the saying that any film that gets completed should win an award and if it turns out to be good, it’s a miracle. I am pleased to say that I believe a handful of my films have turned out good. I hope to have a handful more before I’m done. I have a lot of scripts ready to go if I could just find the finances. I love film and all genres. I feel fortunate to have been able to work in most genres and not be pigeonholed. I hope to make more thrillers since I’m a big Hitchcock fan. At this point, I have 50 produced scripts that I written of which 23 of them I personally directed. I consider that a career, more better or worse. I hope others consider it to be better. What would you say has been your greatest experience in the film business thus far? The response that There’s Nothing Out There received at film festivals around the world. Hearing the crowd react in Florence, Ohio, New York, and California was amazing. That’s a memory you can never lose. I also loved directing Tomorrow By Midnight which is a film that is the closest I’ve gotten to getting my full vision on screen. And, of course, what has been your least favorite experience in your career to date? Working on Corpses for Tanya York’s company. Miserable experience every single day only made slightly better by a good cast consisting of Tiffany Shepis, Jeff Fahey, and Robert Donavan. And meeting my script supervisor turned friend turned producer, Esther Goodstein. Most important question of all…..you are on set for say 14-16 straight hours. When you find a chance to sit and eat something, what is your personal “brain food” you use to fuel creativity? I don’t drink, smoke, or do drugs. My one vice is chocolate. I wouldn’t call it “brain food” but I do find myself eating the junk food. Chocolate chip cookies make me happy. Doing this interview. A lot of good memories mixed with the bad but I try to be a positive person. Glass is half full.